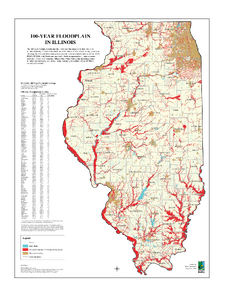 Description: Map of 100-Year floodplain in Illinois. 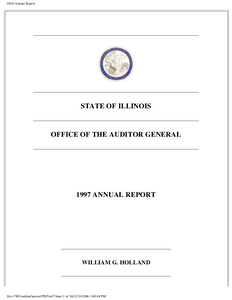 The 100-year floodplain represents that portion of the topography that would be inundated during a flood event which has a 1% chance of occurrence in any given year. The mapped 100-year floodplain area represents the best available data as of July 2009. 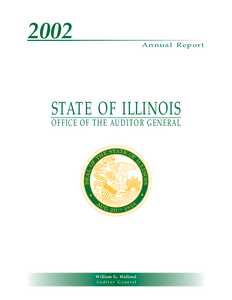 Description: Annual Report of the Office of the Auditor General, which is submitted in compliance with Section 3-15 of the Illinois State Auditing Act. 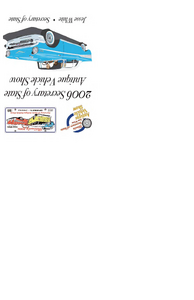 Description: Invitation for Saturday, Sept. 9, 2006, for the 57th Illinois Secretary of State Antique Vehicle Show and Swap Meet at its new venue at the Old State Capitol area in downtown Springfield. 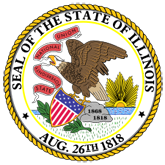 Held alongside the Mid-West Charity Cruise, the show features the classic, antique and sport vehicles in Illinois, as well as three antique motorcycle classes. For 2006 only, four special classes have been added honoring the 1955, 1956 and 1957 Chevrolet cars. 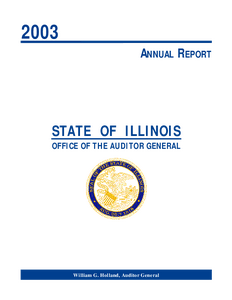 Description: Results of a survey of school board presidents' satisfaction with the Illinois State Board of Education and the Regional Offices of Education. 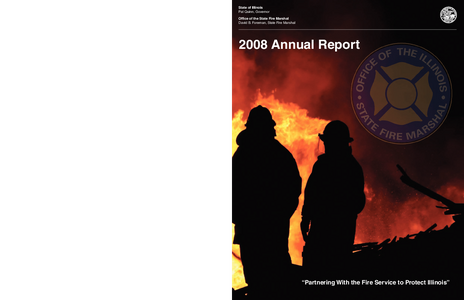 It includes cummulative responses, respondants' comments and analysis. 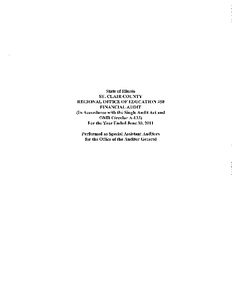 Description: Invitation on Saturday, Sept. 8, 2007, for the 58th Illinois Secretary of State Antique Vehicle Show and Swap Meet. 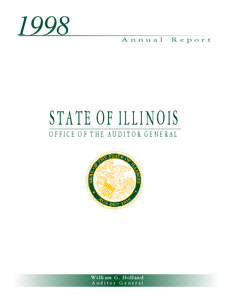 This years show will be held at the Old State Capitol area in downtown Springfield. Held alongside the Mid-West Charity Cruise, the show features the classic, antique and sport vehicles in Illinois, as well as three antique motorcycle classes. 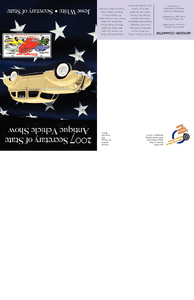 This year, the special Marque Award will honor American Motors Vehicles. 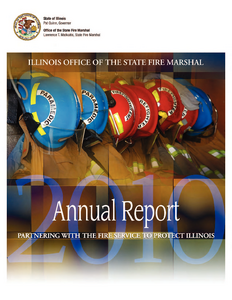 Description: This is a 24 page booklet reporting on the accomplishments of the Office of the State Fire Marshal divisions. 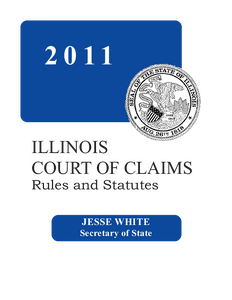 Description: The Illinois Administrative Rules and Illinois Statutes related to the Court of Claims department of the Illinois Secretary of State. 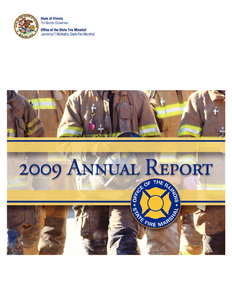 Description: The audit of the accompanying basic financial statements of the Regional Office of Education #50 was performed by Kemper CPA Group LLP. Based on their audit, the auditors expressed an unqualified opinion on the Regional Office of Education #50's basic financial statements.